I haven’t had time to weigh in yet on the Gorsuch nomination to the Supreme Court, so it is time to catch up. In addition to having a law degree from Harvard, it is notable that Gorsuch also took a leave from his lucrative law practice to attend Oxford University to earn a Ph.D under the direction of John Finnis. Never heard of John Finnis? I predict you will in the confirmation hearings. And the likelihood is that Democrats will make fools of themselves, or at the very least unwittingly reveal their essential contempt for the American Founding, and the only question is whether Gorsuch, who appears to be a gentleman of the first order, will restrain himself from embarrassing them out of the political calculus of merely wanting to get to a confirmation vote with the least amount of controversy. 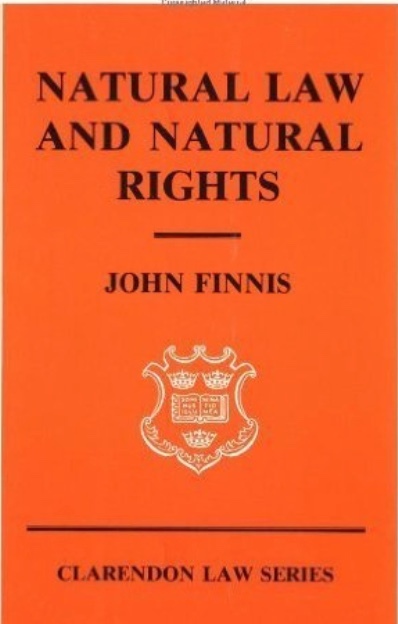 Finnis is a long time professor of jurisprudence at Oxford, and the author of several fine books on the centrality of natural law to jurisprudence. His most notable book is Natural Law and Natural Rights (highly recommended, by the way), and I am sure right now Democratic staffers on the Judiciary Committee are reading through it not with an eye to comprehension, but to see if they can derive any “gotcha” questions from the text to pose to Judge Gorsuch. Because that’s exactly what Joe Biden did to Clarence Thomas back in 1991, except with a different book. What Thomas Jefferson called “an expression of the American mind” is now more a dusty relic for a mind that has moved on. As historian Pauline Meier put it in her widely regarded 1997 book on the Declaration entitled American Scripture, “in the twentieth century it became necessary to explain away the Declaration of Independence as Jefferson understood it.” There are myriad reasons for this re-interpretive necessity, but all can be reduced to a common cause—the need to get over the American founding because of its philosophical and constitutional constraints on visionary politics. Judge Gorsuch stands foursquare in the way of the liberal willfulness to jettison the principles of the Constitution, which is why the left is in a fury to defeat him, as they have been with just about every other recent Republican Supreme Court appointment. But I suspect any liberal attempt to use Finnis against Gorsuch will result in finis to their attempt to block him.